Hyperpuff or hyperbole? 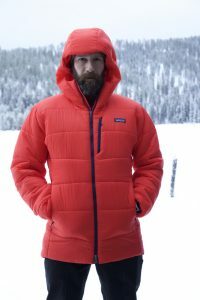 New for 2017, Patagonia’s accordion-style insulation lofts outward to create a unique synthetic puffy piece. The epitome of warmth is simplified in Patagonia‘s original DAS (Dead Air Space) parka. It is a quintessential synthetic alpine piece, with hand pockets, two internal mesh pockets (each large enough to swallow a 1L Nalgene), and a helmet-friendly hood, all weathered shut with a two-way zipper. I’ve owned two of them. I’ve worn them ice climbing on Lake Superior’s North Shore and mountaineering on the world’s northern-most 7000m peak. It’s an alpha dog in the alpine world; a die from which many competing cold-weather belay parkas have been cast. 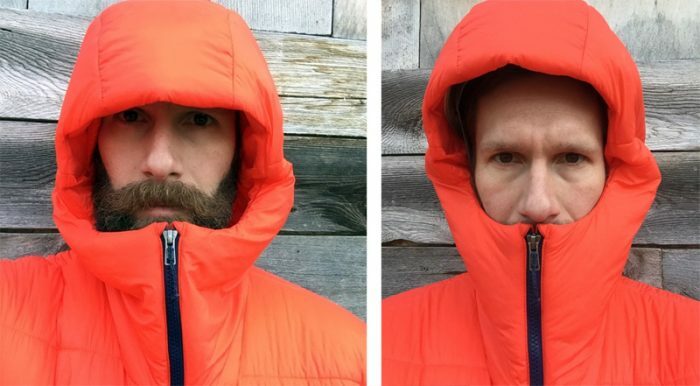 This summer, Patagonia will sunset the venerable DAS, replacing it with the to-be-released Hyper Puff Parka and a new insulation type dubbed HyperDAS. GearJunkie got an early-release of the jacket for this review. The Hyper Puff Parka has a lot in common with its synthetic pedigree. You still get two hand pockets, two internal pockets, and a double-slider zipper. But it’s much more than a DAS 2.0 — the fit, the materials, and a unique insulation take form here. But the theme has stayed true: Function and warmth are key. Insulation by itself doesn’t keep you warm. Instead, it is the air inside insulation that does the job of trapping heat. Synthetic insulation’s warmth is achieved by arranging fibers in a way that create air-trapping spaces between the filaments. But there’s always some bartering between warmth, compressibility, loft, and weight. Under the hood, the original DAS parka used a 120-gram Primaloft Silver insulation (a long, continuous filament comprised of variable diameter strands) paired with an added 60-gram Primaloft Gold layer (a microfilament fiber that mimics down’s loft and warmth-retaining properties). Together, the insulation is warm, soft, and stands up to wet conditions. For the upgrade this year, the Hyper Puff Parka uses a new 100-gram microfiber called HyperDAS as its insulation. It is unusual in that it comes in sheets. The polyester fabric packs down tight when compressed, but it springs back to shape (even when wet) to create the heat-trapping spaces. HyperDAS has reputedly the highest thermal efficiency of any 100-gram synthetic fiber. The penalty? Weight and volume. But not much. The Hyper Puff Parka weighs in at 26 oz (compared to the 23 oz DAS). Warmth. The HyperDAS insulation is indeed warmer than the Primaloft insulation lofting the original DAS. This is partially due to the slimmer cut (creating less overall volume to heat), but also in part to the stocky-Hyper DAS insulation whose rigidity prevents the heat-holding air spaces from collapsing. While not quite on par with Patagonia’s winter stalwart, the 800-fill down Fitz Roy, for potentially cold and wet conditions the Hyper Puff will be the parka you want to reach for. For context, we felt comfortable wearing it layered over just a thin long-sleeve shirt while standing around in temperatures in the teens (F) for extended periods of time. Touch. The HyperDAS loft has some serious structure. It is nearly capable of standing the jacket upright. You get a sense of it when you pick it up — the parka seems almost like a techy oven mitt, and it’s much stiffer than the original DAS. 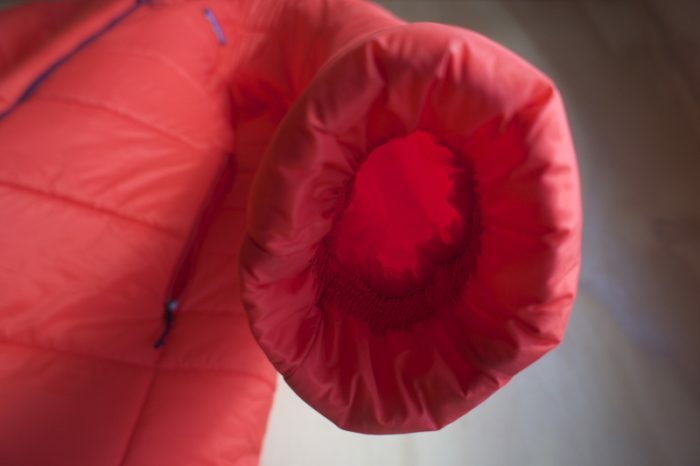 The 100-gram insulation doesn’t compress as well as Primaloft. Stuffed, it takes up more space in your pack. To help wrestle it down to size, the parka comes with a double drawcord stuff sack. (Draw the top most cord to contain the parka; then, stuff the top cord into the second and tighten.) 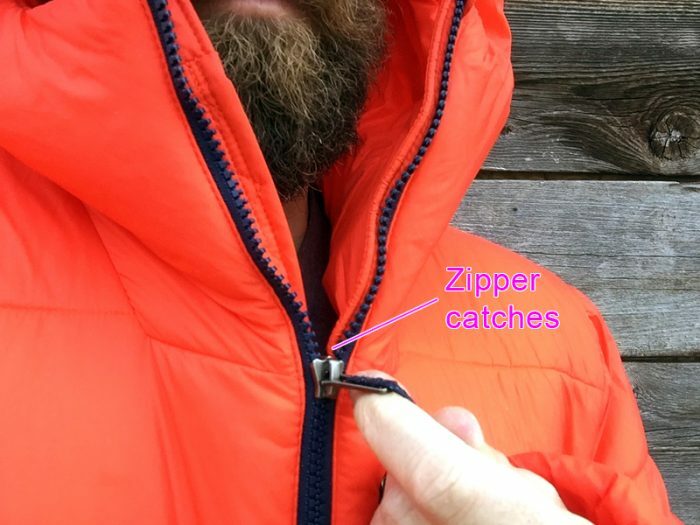 The final cord compresses the parka down to just larger than the original DAS; see images below. But all this rigidity translates to structure. We guess the loft should last longer than traditional synthetics (which are known to break down after years of compression). 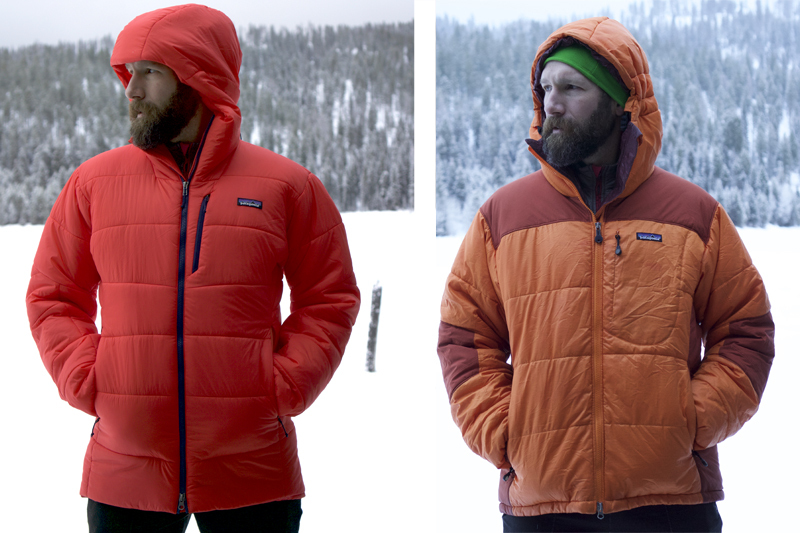 The original DAS (left) compared to the pre-stuffed Hyper Puff Parka (middle). 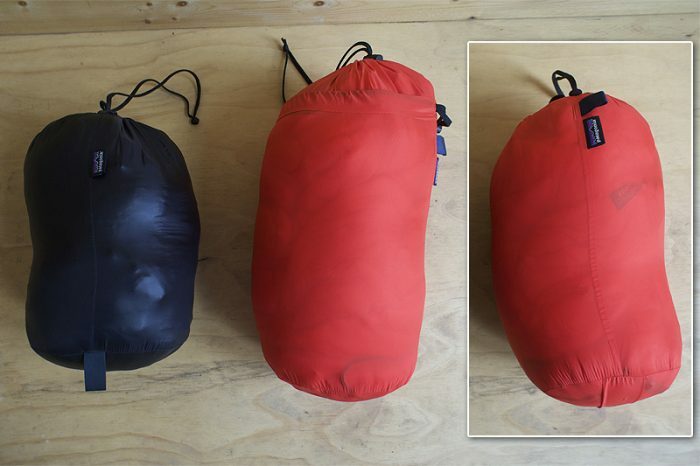 The Hyper Puff Parka fully compressed (right) is slightly larger than the original DAS Parka. Fit. Patagonia blurs the line between active and passive synthetic insulation, and the company has led the frontier of “active insulation.” Many of its most innovative garments are aimed at fast-moving sports. Form following function, the company has tailored the Hyper Puff’s fit to be more athletic than the common belay puffy. Cuffs. Traditional cuffs—even on the DAS—are typically a thin elastic band that closes around the wrist to keep the elements out. Over time the exposed band can be compromised by water, wet out, and freeze up. The Hyper Puff rethinks the cuff. Its tapered sleeves roll inside at the ends and snug around the wrist with a broad, 1-inch elastic band. The design is much more comfortable, traps heat well, and easily pushes up on the arms and out of the way while working the ropes or playing with fire. Hood. The helmet-compatible hood cinches around the head with a single elastic draw cord, and it zips up tight around the face. But in our review so far perhaps the most buggy issue is the chin area. Hood without helmet (left) and with helmet underneath (right). On the prototype I tested, the zipper caught on the stiff collar area. 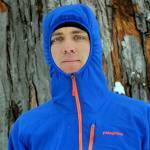 Patagonia noted that the factory added additional insulation in the face region resulting in an overall stiffer chin area. Fiddling with one hand on a rope and another on the zipper pull, this could become the real bugaboo in deteriorating conditions. Patagonia shared this will be addressed before final release. Conclusions. Who needs the Hyper Puff Parka? For years, Patagonia made garments that you could wear to the office as well as in the mountains. The Hyper Puff strays from this trend; it’s a technical piece with a form forged out of the material and pure need for warmth. As a result, it’s less street friendly—even less so than the original DAS Parka. There are more fashionable options to stay warm. 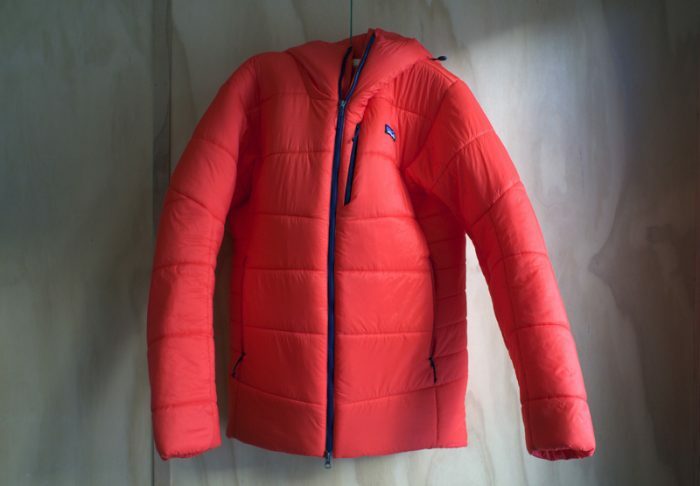 And Patagonia chose hyper-bright colors that blow past the Pantone scale. This parka won’t appeal to everyone, but for people who choose to bivy on the fringe of the world, this bright parka will certainly keep you visible and warm.